Samsung’s recently announced Galaxy Note 9 is already receiving high praise for its display. The Note 9 features a 6.4-inch 2960 x 1440 pixel Quad HD+ Super AMOLED display. According to DisplayMate, that display is record breaking. It’s brighter, more colour accurate and power efficient. For one, the Note 9’s screen is incredibly bright. Not only is the Note 9 27 percent brighter than last year’s Note 8, it also has 32 percent higher contrast under high ambient light. DisplayMate completed this test by having the phone display an all-white screen. This is a fairly challenging test image for an OLED display as it requires all the pixels to shine at full power. 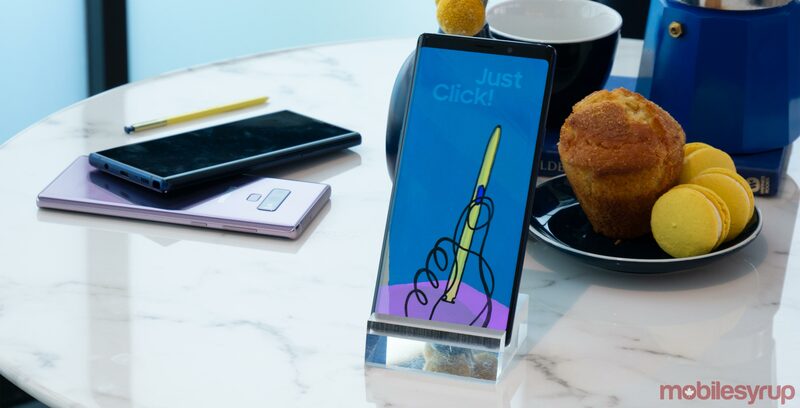 Furthermore, the Note 9 is “the most colour accurate display” that DisplayMate has ever measured. DisplayMate measured each of the Note 9’s screen modes in units of Just Noticeable Colour Differences (JNCD). One important note to make here is that DisplayMate based this test on the various screen modes. The Note 9 comes with a number of screen modes, such as Cinema mode and Photo mode. According to DisplayMate, to achieve such high colour accuracy, the phone must be in the appropriate display mode for the content on the display. Furthermore, DisplayMate calls out reviewers who complain about colour accuracy but haven’t set the appropriate screen mode for the content they’re viewing. However, if you’re like me and tend to set it and forget it, you may not benefit from that high accuracy. Finally, the Note 9 display features improved power efficiency. According to DisplayMate, the display consumes just 1.10 watts of power, making it eight percent more efficient than the Note 8. If you’re interested in the minutiae of the tests, you can read the full DisplayMate document here. Furthermore, DisplayMate reviewed the S9 display as well, giving it equally high praise. The Note 9 is available for pre-order now. The device will launch in Canada on August 24th starting at $1,299. Alternatively, you can get the phone on a two-year plan starting at $549.99 with most carriers.